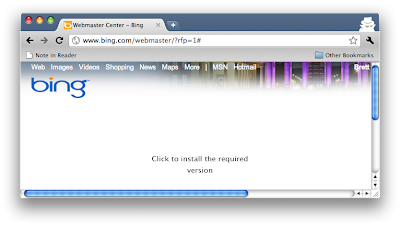 Bing Webmaster Tools requires Silverlight; I forgot that. I can't decide if it's ironic or sad. Even then, I'm not sure if it's sad for Microsoft or sad for the tools we call the web.